Why, oh why, I haven't made this before is beyond me! 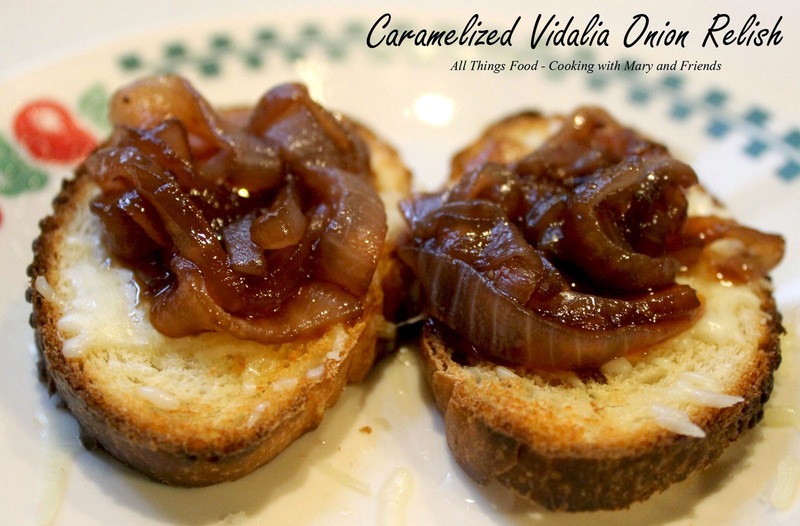 Savory, sweet, delicious and versatile! I recently purchased a 5 lb. 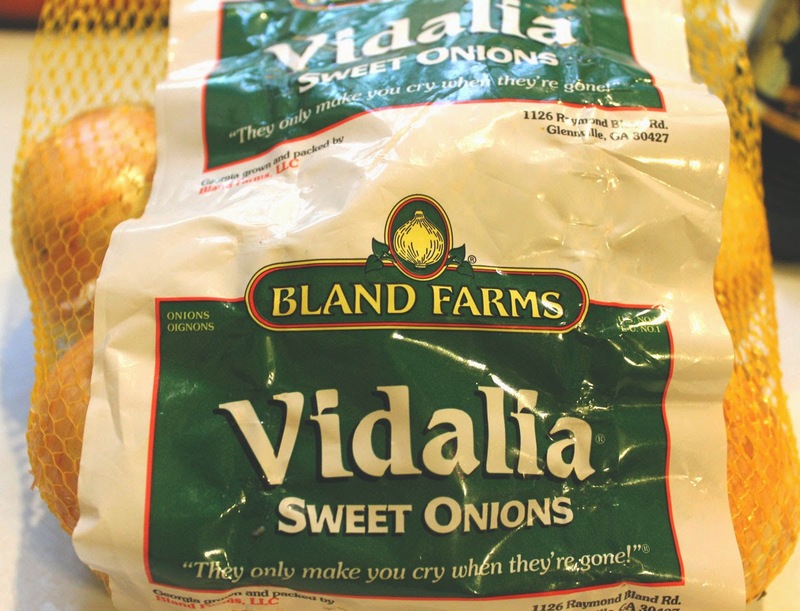 bag of Vidalia Onions, and wanted to put them to good use. Well, this recipe definitely does that. Just wait until you taste it! Yummmm!!!! Place sliced onions and brown sugar in a large stock pot. Heat over medium-high heat stirring until well combined. Cook 25 minutes, stirring often, until onions are soft and caramelized. 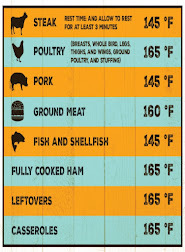 Add red wine, white vinegar and balsamic vinegar and continue to cook 15 more minutes,or until almost all the liquid has evaporated. Ladle onions into 8 oz. canning jars leaving 1/2-inch head-space and process in boiling water bath 10 minutes. Remove jars and let cool on a kitchen towel on your counter-top 24 hours undisturbed. Store on your pantry shelf up to 1 year. 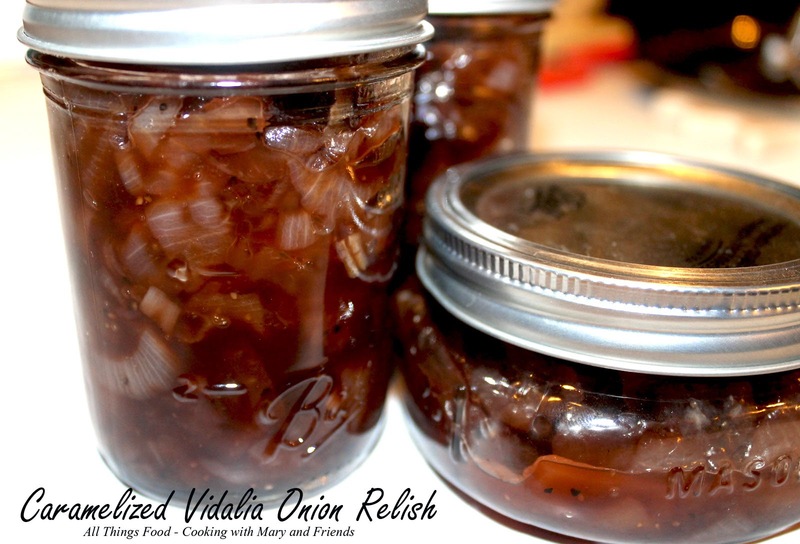 Serve relish over crostini, grilled burgers, steaks, and more.